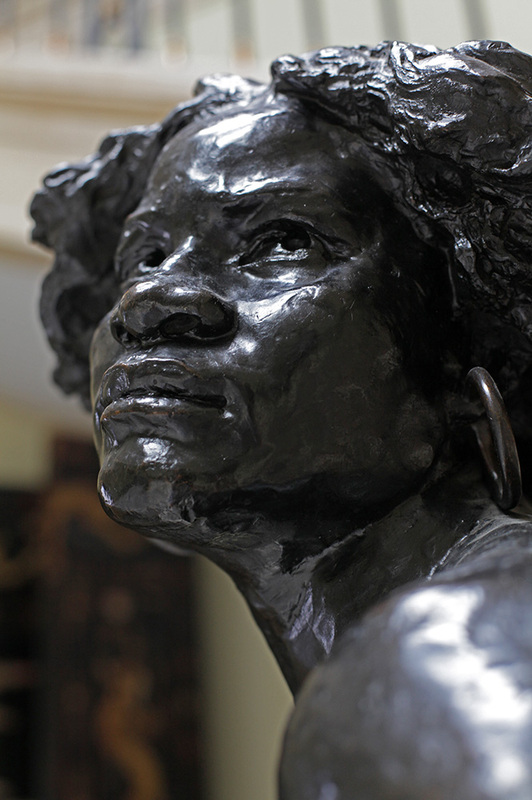 La Négresse is a piece by French sculptor and painter Jean-Baptiste Carpeaux dated 1872, which is exhibited at the White Palace. 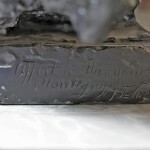 Preserved archive indicates that this sculpture was part of the original art collection of the Royal Compound. 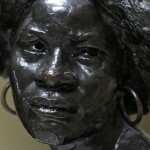 By very realistic details the artist made distinctive portrait of a young African woman. Special attention is paid to her facial expression, that shows all the misery of slavery, but also her revolt to imprisonment. 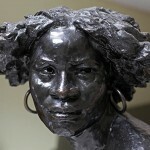 Her large round earrings additionally emphasizes the strong body swing and dynamics of the composition. 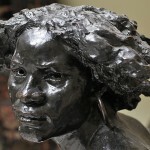 Good understanding of movement is one of main characteristics of Carpeaux’s art. 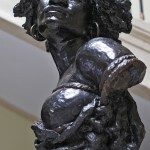 Carpeaux put a hard rope that constricts the body, which represents picturesque criticism of slavery. France has abolished the slavery in their colonies in 1848, and during 1870s that was an allusion to very actual Lincoln’s Emancipation Proclamation from 1862/63. 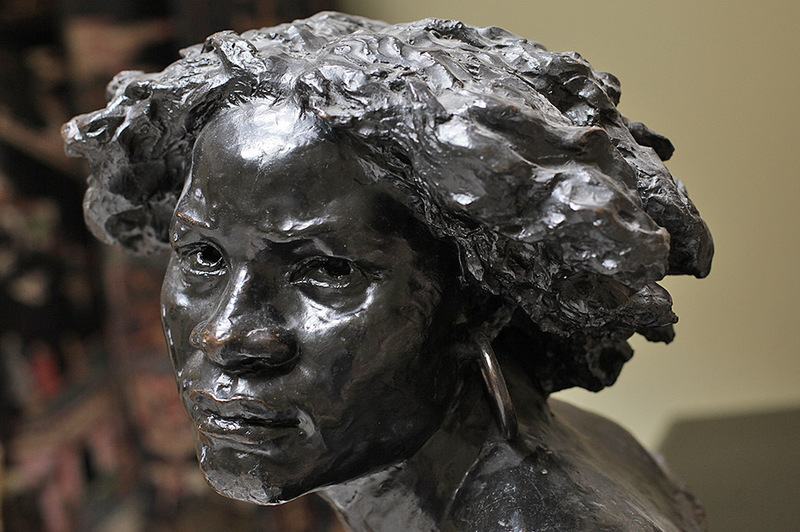 Molding of La Négresse was actually a detail from bronze Fountain at the gardens of the Luxembourg Palace in Paris that was commissioned by Baron Georges-Eugène Haussmann and designed by Jean-Baptiste Carpeaux in 1867. The sculptor chose the theme of Four Parts of the World Sustaining the Globe. 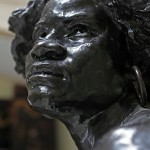 Four female figures personalize four continents Europe, Africa, Asia and America. The fountain has been completed and installed at the gardens of the Luxembourg Palace only in 1874. 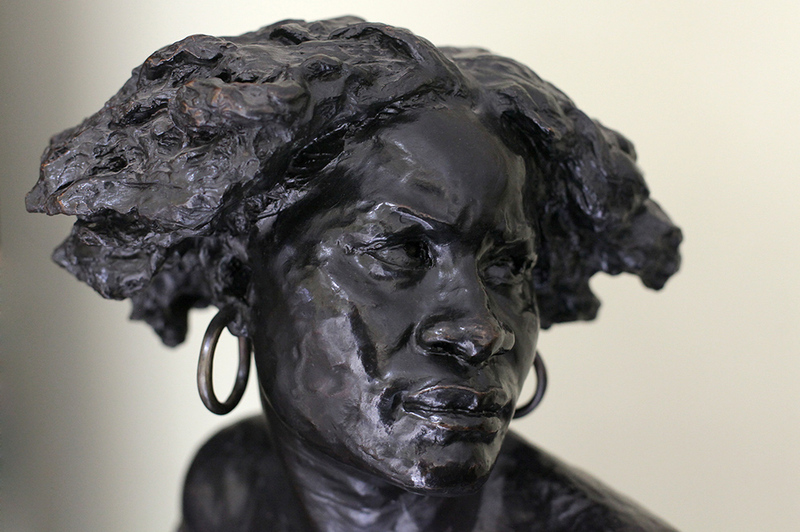 Two of four figures inspired Carpeaux to make separate portraits. 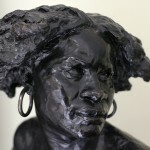 In that way, figure of Asia was his inspiration for the bust of Chinese, while figure of Africa inspired him to make La Négresse, that was reproduced in different materials. 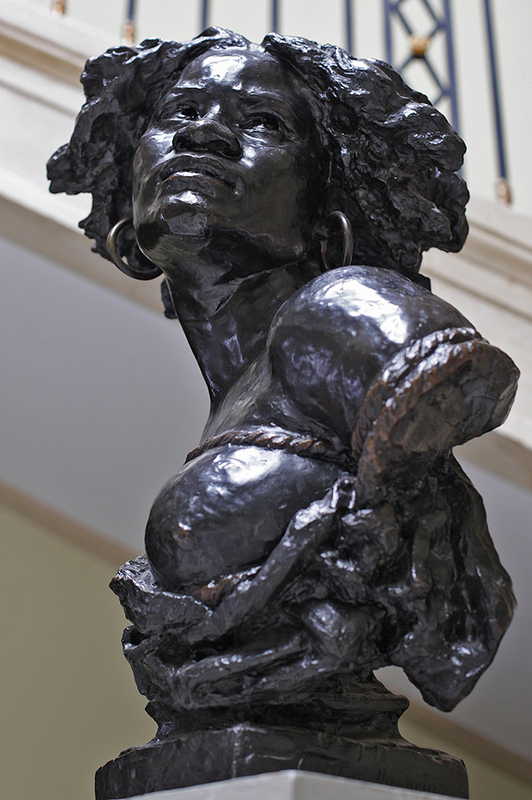 The marble version of the bust Carpeaux exhibited at the Paris Salon of 1869 with a title “Why to be born as a slave”. This piece acclaimed a great success, and was bought by the Emperor Napoleon III personally. 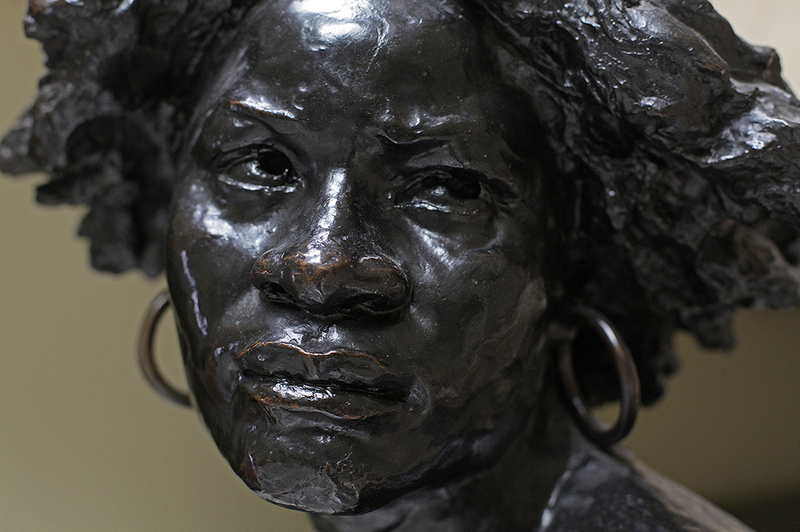 Jean-Baptiste Carpeaux was born in Valenciennes, in northern France. 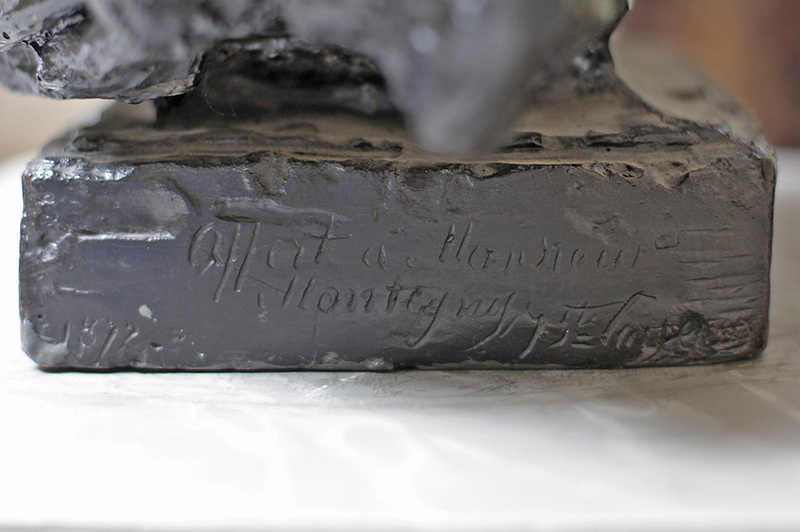 He learned painting and sculpture from François Rude and Francisque Duret at the École des Beaux-Arts in Paris. After he won the Grand Prix de Rome he went to Italy, where he spent five years in the capital (1854-1859) studying works of Michelangelo, Donatello, Verrocchio, and the masters of Baroque. 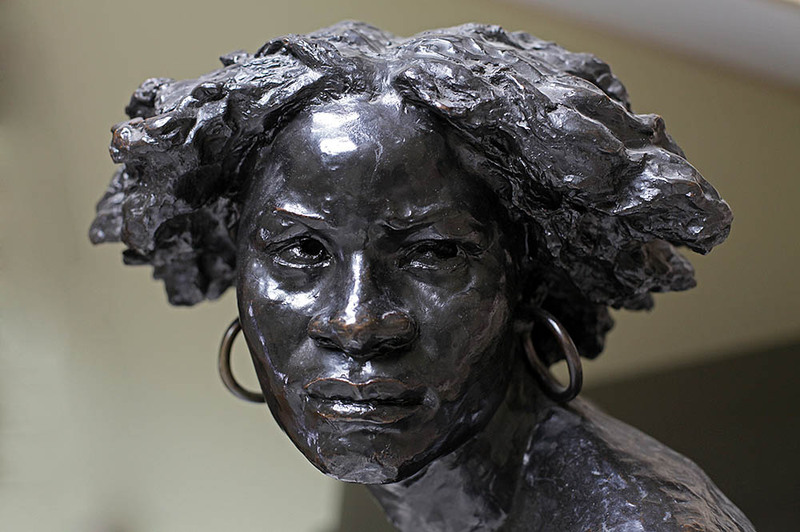 He courageously abandoned the conventional classical style and established himself as one of the leaders of French sculpture in nineteenth century. There is obvious influence of Baroque and Romanticism in his work. He is considered to be the most important artist of the Second French Empire, and in artistic sense was a predecessor of Auguste Rodin who was building on his picturesque expressions his own impressionistic style.